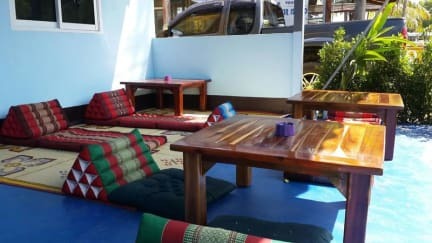 Baan Mook Anda Hostel is located 50 metres from Saladan Pier in Ko Lanta. Free Wi-Fi access is available. Guests can choose from an air-conditioned private room or a dormitory-style room with a fan. 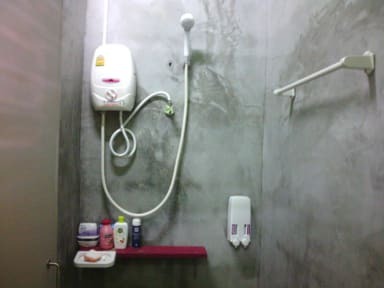 Shower facilities are in a private or shared bathroom. At Baan Mook Anda Hostel you will find a lockers and a tour desk. Arrangements can be made for excursions, ferries and motorbike rental. There is free public parking nearby. Baan Mook Anda is a 300-metre walk from the nearest beach and a short stroll from seafood restaurants and a convenience store. 1. Check in from 1pm and check out until 11an. 2. Both cash and credit card (Visa, Master, JCB or American Express) are accepted upon arrival.